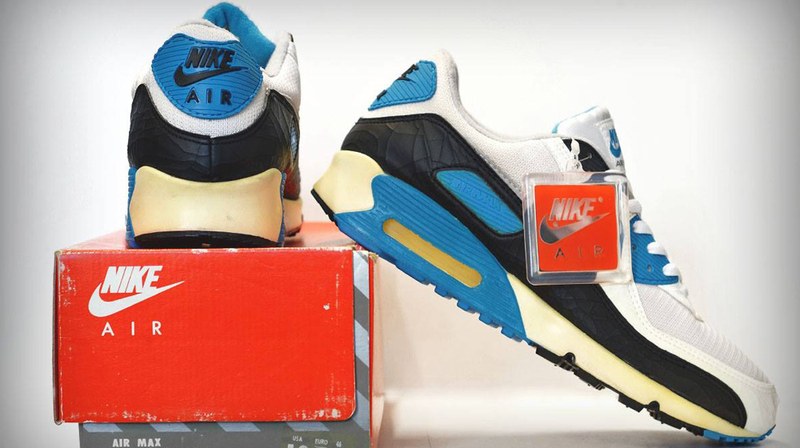 Given Nike's penchant for anniversary celebrations, it would be surprising if the brand didn't bring back the original Nike Air Max 90 "Infrared" and "Laser Blue" looks in this 25th anniversary year for the AM 90. Serving as a reminder as the glory of those pairs is this archival set from German sneaker shop Overkill. 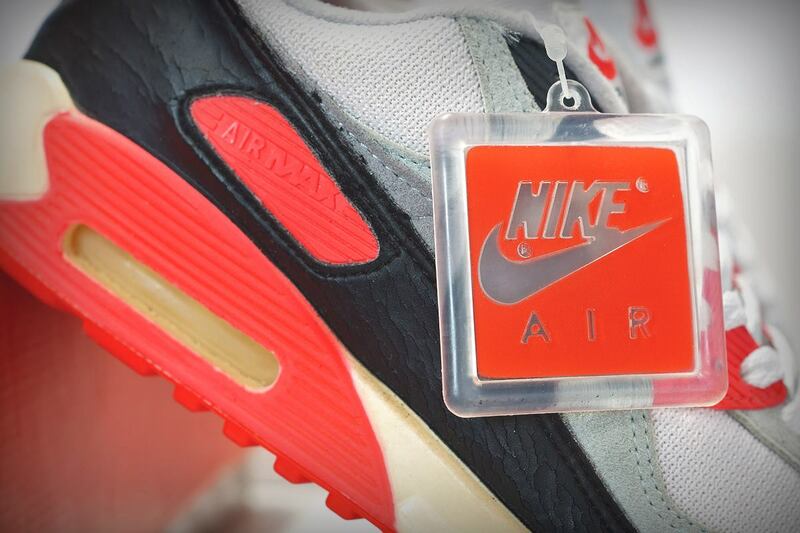 Both of these sneakers have of course been reissued plenty of times since their 1990 arrival, the Air Max 90 "Infrared" much more so. In fact, the Infrared has a patch pair on the way, but there's no news of a more straightforward retro honoring the original makeup. 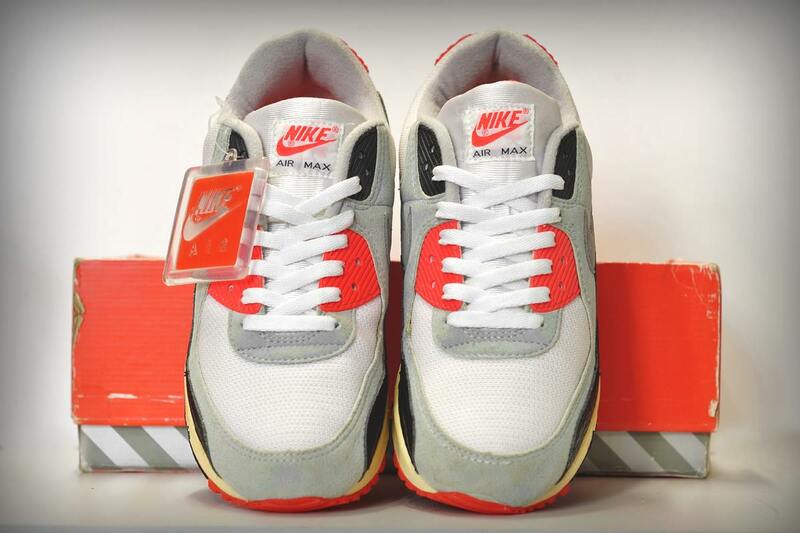 These two Nike Air Max 90s are both in deadstock condition, but still show plenty of signs of age. 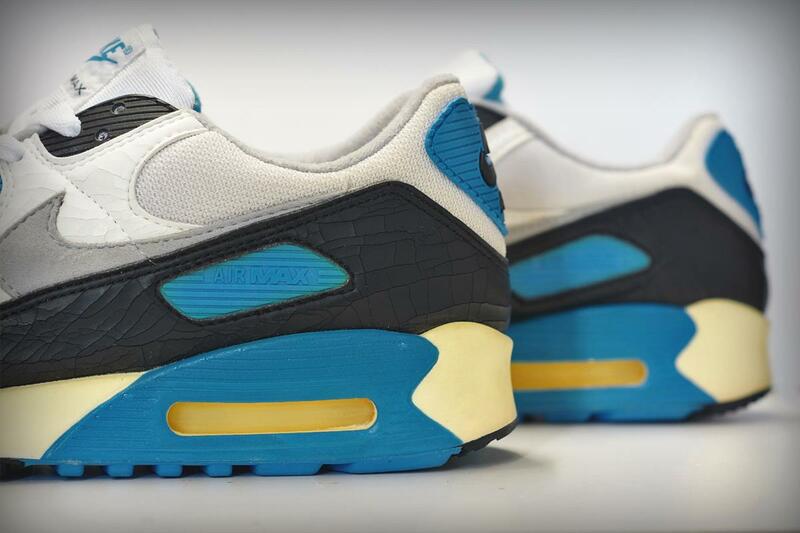 Expect more looks at vintage Air Max eye candy to show up during the build to next week's Air Max Day celebration.